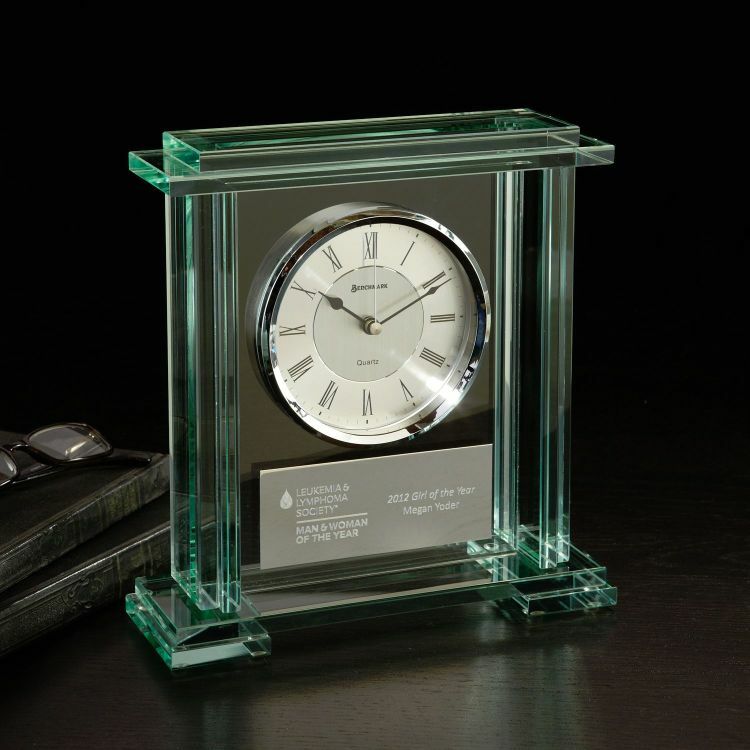 This jade glass quartz analog clock is styled from ascending blocks of glass. 9.5" x 10" x 3"
Imprint Dimensions: 4.875" x 1.875". Imprint Location: Under Clock on Silver Plate.